How does a son of a successful actor-singer, the country’s so-called ultimate heartthrob, prove his mettle and make a name for himself? For Inigo Pascual, it is more than just having the good looks and a famous last name he got from his dad, Piolo Pascual. It is having the talent, the skills, a sense of purpose, and a big dream. With his self-titled, pop-dance album, he finally comes into his own as his passion for music – his first love – takes center stage in his career. Inigo’s passion for music goes back to his childhood when he learned to play the piano at the age of seven – all by himself. At 12, he already knew how to play the guitar and ukulele. 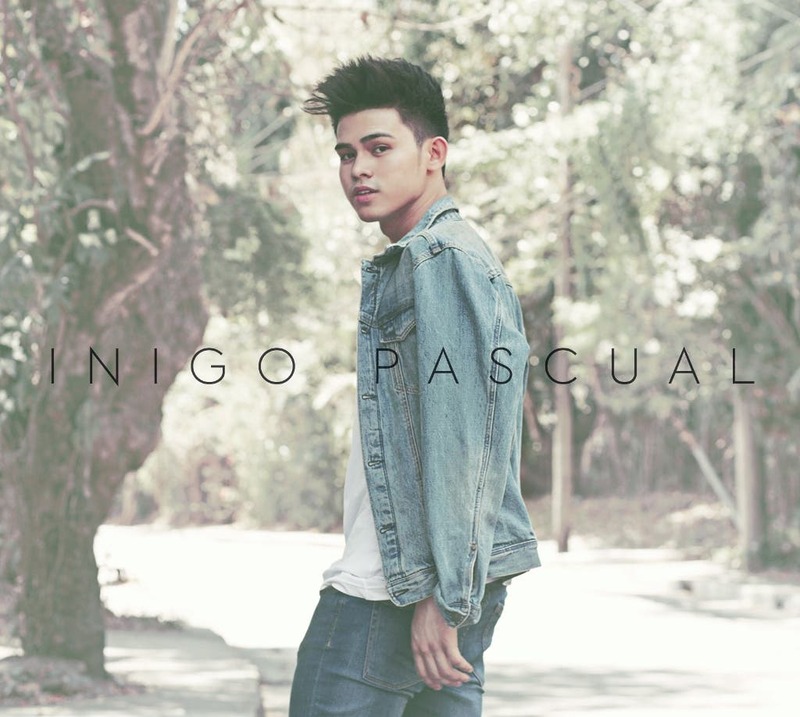 It was also the first time Inigo wrote a song, called “Fallen,” which is included in his album. He also dabbled in theater when he played Link Larkin in the musical “Hairspray” in high school. As he appeared in teleseryes and movies, he also started showcasing his musical chops. He recorded the song “Lullabye Bye” for Star Music’s “OPM Fresh” album, which enlisted up-and-coming artists, and he wrote the song “Dito” for his episode in “Wansapanataym” in 2015. Now that he has made his dream come true by releasing his first album, the road is going to be lot bumpier and more exciting for Inigo. And like his musical influences Sam Concepcion, Chris Brown, Justin Bieber, and Nick Jonas, Inigo is ready to be a total performer – to produce the next big hit, top music charts, and start a dance craze with his first single “Dahil Sa’yo”. The album was produced by Kidwolf, who also worked on songs by Star Music artists Marion Aunor, Gimme 5, and Matteo Guidicelli. It is now available on Spotify, and physical copies will be available soon nationwide at P199. The digital tracks can also be downloaded via online music stores such as ABS-CBN Store, iTunes, Mymusicstore.com.ph, Amazon.com, OneMusic.ph, and Starmusic.ph. paano magigng number 1 ang GMA kung hindi nga kayang mag-broadcast ng GMA outside mega-manila, kailangan pa ng GMA ang sebisyo ng Sky Cable at Destiny Cable na subsidiary ng ABS-CBN para mapanood ang mga shows ng GMA sa Luzon, Visayas, Mindanao tapos ang yabang pa ng GMA na sabihing number 1 sila…kahiya naman. Magtayo muna ng sariling cable company ang GMA para matapatan ang ABS-CBN, mabait lang ang ABS-CBN kasi isinama ang mga shows ng GMA sa bundle ng Sky Cable at Destiny Cable.